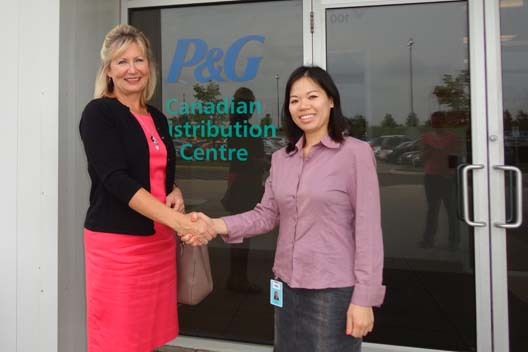 September 10, 2014 – Thank you to Procter & Gamble of Brantford for their generous donation of $5,000 toward our Endowment/Youth Education Fund! A small group of their staff fundraised for two great causes this past year: our Endowment/Youth Education Fund and the SPCA. We are so grateful for their continued support of our youth. Pictured here is Tiffany Berrisford of P&G presenting the donation to Janice Robinson, Executive Director of the Children’s Aid Society.